TASMANIA’S largest pellet plant is now in operation supplying local pellet fuel to the expanding market. Southwood Pellet Mill recently launched in Launceston and together with Oakdale in Hobart, they now supply all the heating needs for Tasmanian customers who own pellet heaters. Pellet Fires Tasmania (PFT) is a local company which imported pellet fuel to complement the limited local supply of pure hardwood pellets until their Launceston mill commenced in February this year. “Many people tell us that heat pumps just don’t provide the degree of comfort they want and that they are looking for alternatives,” he said. “A pellet heater creates warmth by burning small wood pellets, which are manufactured in Tasmania and made from sawdust – a recycled by-product of sawmills. 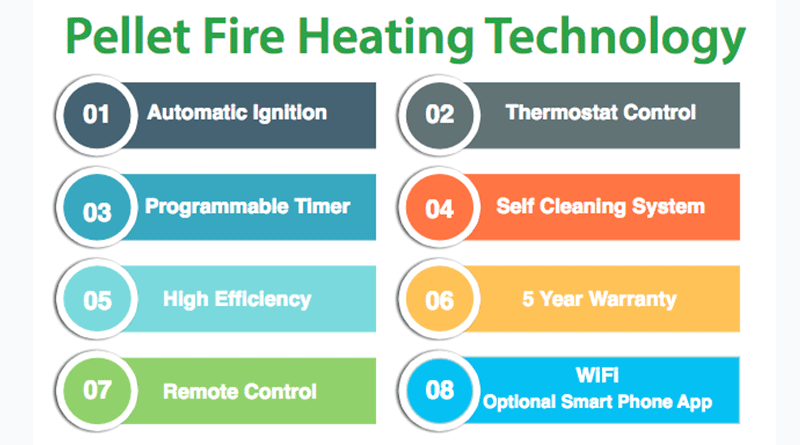 “Pellet heaters are clean burning, virtually smoke free and controlled by a thermostat that contains a programmable timer to automatically turn them on and off. Mr Douglas said it cost around $700 per winter to heat a typical Tasmanian home using pellet heating. “Tasmanian-made pellet fuel sells for $11 per 15-kilogram bag in our Hobart, Launceston and Ulverstone stores which equates to less than 0.16 cents per kilowatt hour of heating energy,” he said. PFT currently has the largest range of pellet heaters in the country, with more than 21 models to choose from and a range of hydronic pellet heaters for central heating. There are showrooms and fuel depots in Hobart, Ulverstone and Launceston to ensure statewide fuel distribution and customer service. For more information, visit www.pellet.com.au.